I believe each of us has a few favorite places that we’ve been in the world. 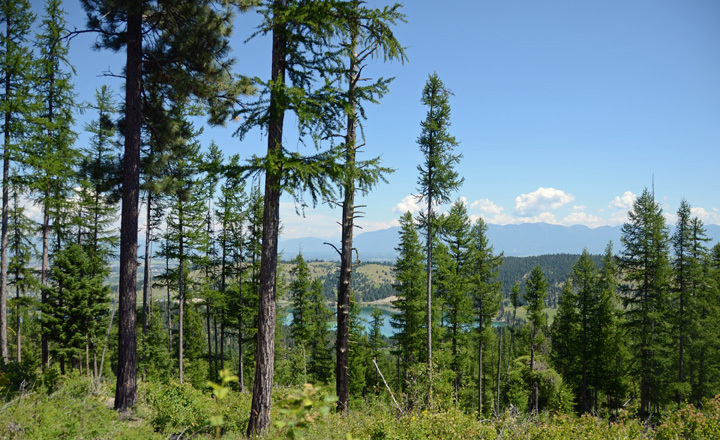 One of my favorites is Bowman Lake up the North Fork of the Flathead. I love that lake and have made such good memories there it will always be a place that I call home. It was a perfect day at Bowman yesterday, even if it was as crowded as I’ve ever seen it. Oh yeah, Labor Day weekend. Note to self: go to the lake on a weekday. Peanut had a great time splashing in the water on the lake’s edge. 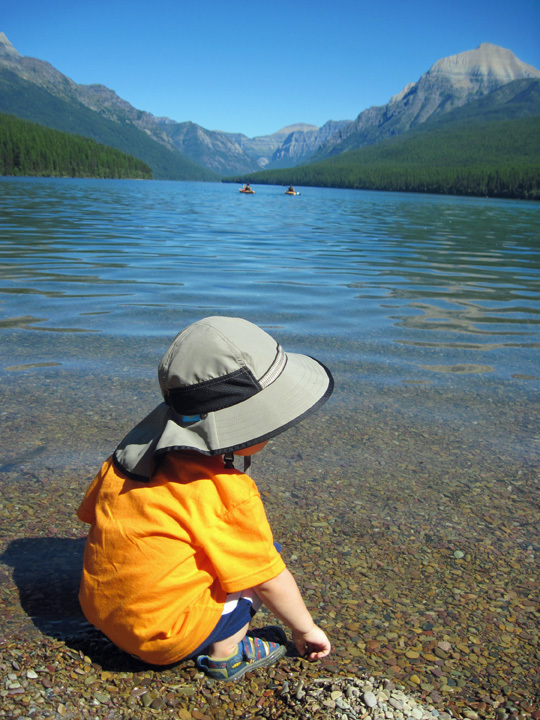 He tossed pebbles, felt the water on his fingers and toes. Big Country and I sat beside him and nibbled on that huckleberry turnover I mentioned in the last post. It was delicious as ever. After hanging out on the lakeshore for a while, we took a stroll down one of the trails by the lake. 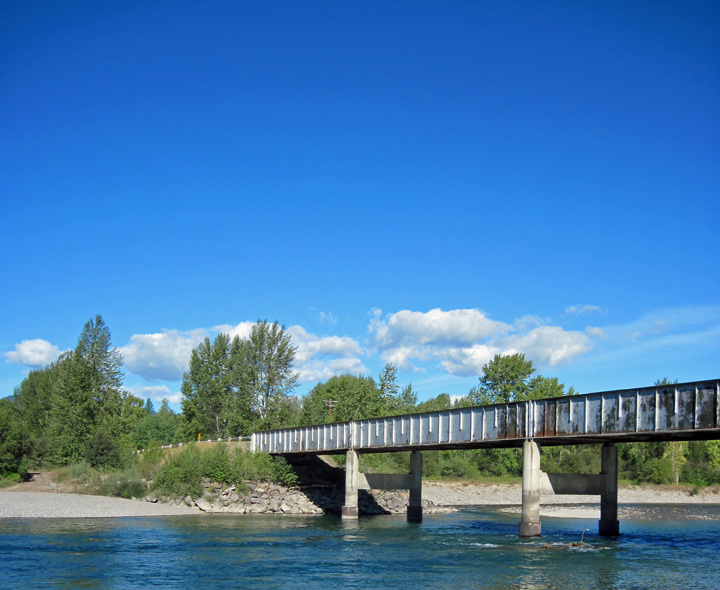 Over a bridge that crosses Bowman Creek, then back into the lake shallows for more splashing. Peanut loved being able to “hike” himself instead of riding in the backpack. He stopped to pet leaves, pick flowers, and look all around. We stuck to big thoughts all day, and it was a perfect day. Sunny but not too hot. Surrounded by beauty and keeping the worries at bay. It’s hard to be unhappy watching your child explore the world. Did you succeed in thinking big thoughts too? 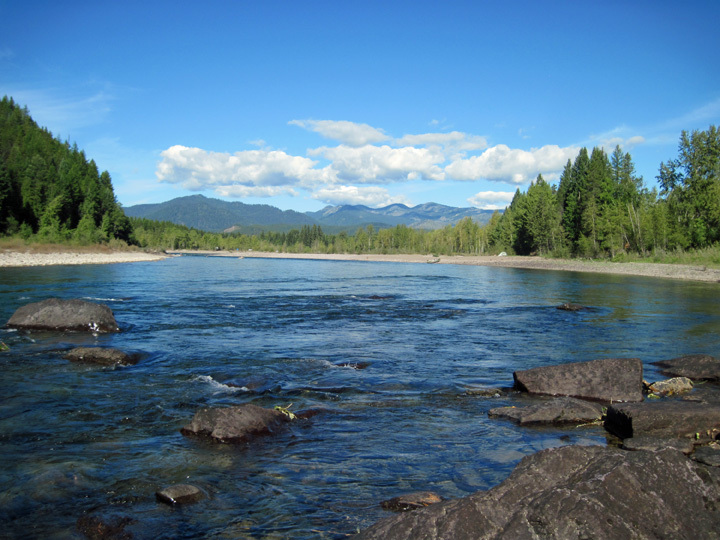 We went on a little walk this morning after breakfast on the edge of the Flathead River. It’s a place we walk every now and then. Not really a hike, though we do pick our way over rocks and across sand. It’s more of a place for a stroll, then for standing beside the river to reflect. To think about whatever issues are consuming one’s life right now, or to shove those issues into a compartment in the mind and simply be instead. I always try to think only the big thoughts beside that big river. 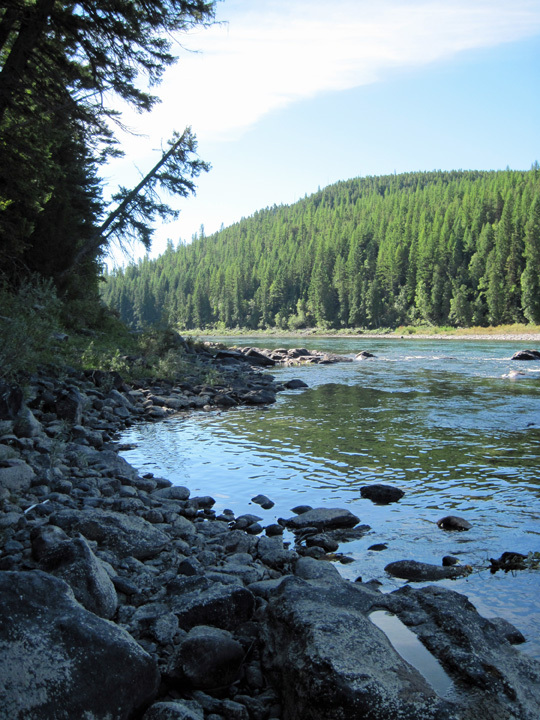 To listen to the water tumbling over rocks and refuse to allow the petty thoughts do their own tumbling about. Didn’t succeed in thinking big thoughts today, though. Instead Big Country and I talked over what we are always talking over, our business. Turning over what we’re doing in our heads, trying to do better. Sometimes it all feels like we’re trying to squeeze water out of a stone, blood from a turnip. But we talk about it still, because it’s our livelihood and we’ve got to keep striving, trying, working and working and working to make our business succeed. But walking by the river helps. It’s where I can let the stress that seems all-consuming lately fall off my shoulder for a few minutes. Where I can listen to the sound of the water on the rocks, watch the play of the sun on the ripples, notice that the tired green leaves on the aspens are fading golden. Autumn. It’s almost here. 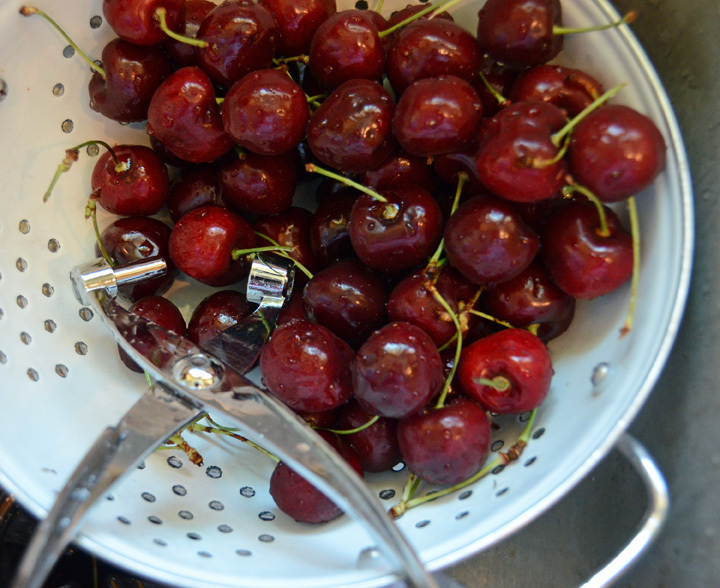 It’s the last day of August, hurray! 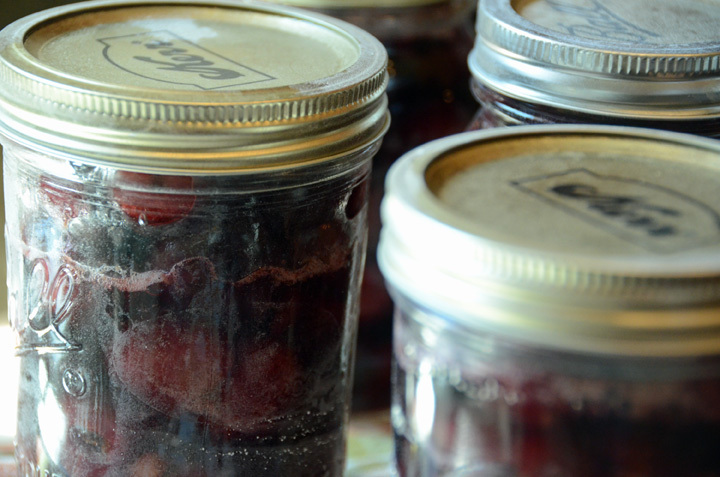 Tomorrow we’re headed up the North Fork for huckleberry turnovers and a hike by our most favorite lake, Bowman. I’m going to try again with thinking those big thoughts, which to me really just means opening my brain to all that is happening around me, mapping it with the flashing of my neurons. Listen to the water. Feel the wind. Watch my son marvel at all these new sights and experiences. Forget about the stress and longing and fear waiting for me at home. I’m ready for August to be over. I’m ready for summer to end. It’s been a long summer, full of telling other people where the best hikes are instead of hiking them myself. It’s been a summer of hard, hard work. I am not writing this for sympathy. 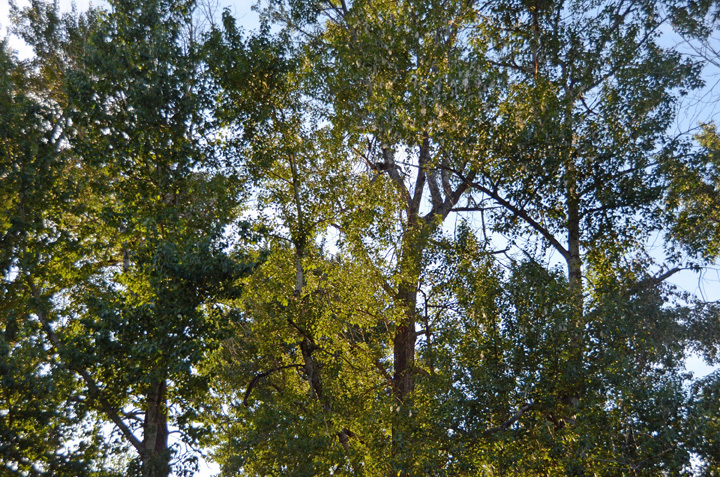 I am merely observing that I feel like those aspen leaves look: tired, faded. But on the other hand, perhaps I’m turning golden too. My favorite season of the year is just around the corner. I’ve got to believe that good things and easier times are coming with it. 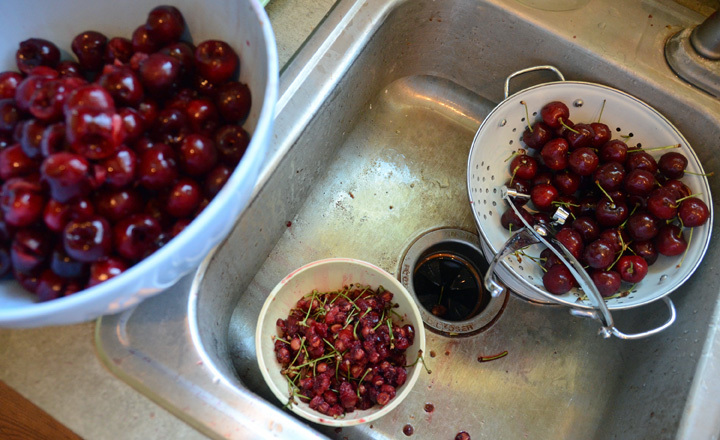 ‘Tis cherry season in northwest Montana. 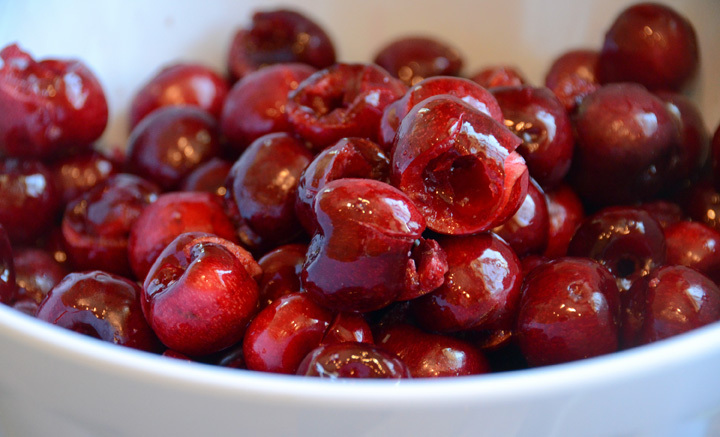 Which at our house means eating cherries until we can’t stand them any more, then canning a bunch of them for winter when we get a cherry craving again. 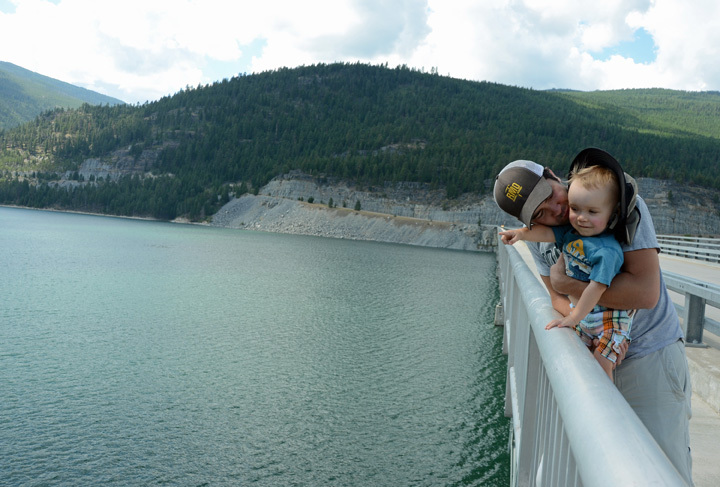 We went on a family boondoggle today to Lake Koocanusa, which is west of Eureka. 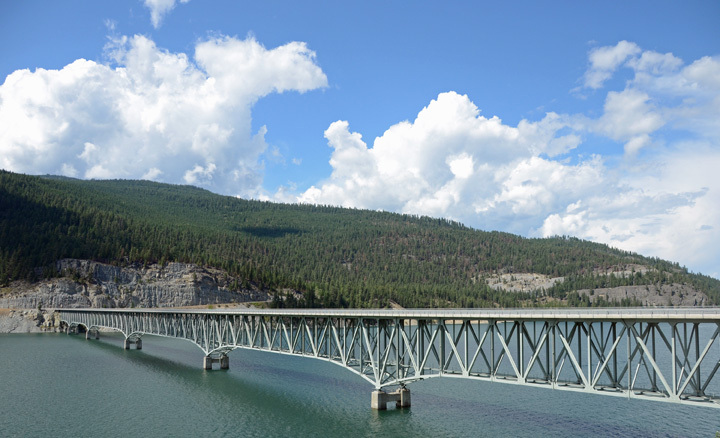 It’s a big lake, with a sweet long-span bridge over it. Big Country is obsessed with bridges (who am I kidding, I think they’re awesome too!). It was nice and cool out on the bridge, and breezy! Though sometimes I feel like all I do is chase Peanut around these days now that he’s walking, I also really enjoy that he is. We can walk out on bridges together, for one thing. His increased mobility has certainly opened up more of the world to him, and he likes to explore and see new things. 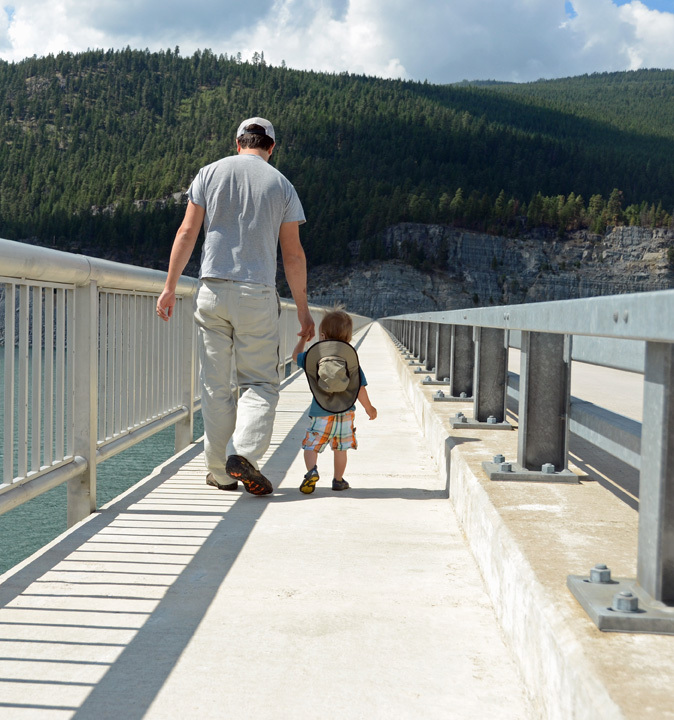 And I’m sure we’ll look back on this photo in fifteen years or so when Peanut is taller than Big Country and have a nice time reminiscing over our little walk out onto the bridge. We’re all on a bridge going somewhere, aren’t we? The trick is to enjoy the crossing as much as anticipating what’s on the other side! My dad, step-mom, and brothers are here for a visit this week. 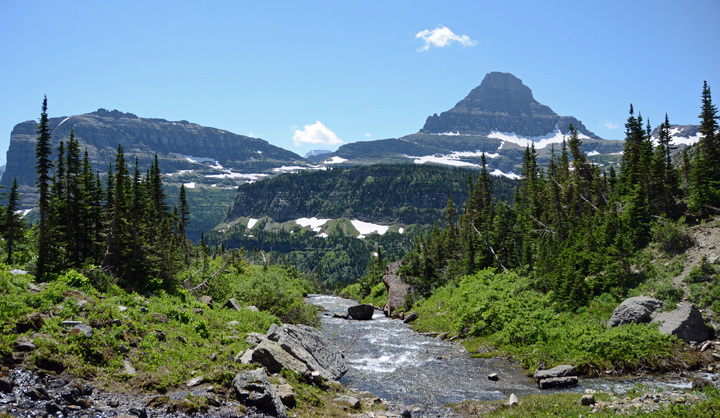 Thursday we made the trek over Logan Pass on the Going-to-the-Sun Road in Glacier National Park and hiked to Preston Park again, this time with my family. It was a beautiful, sunshine-y day with a nice occasional breeze. 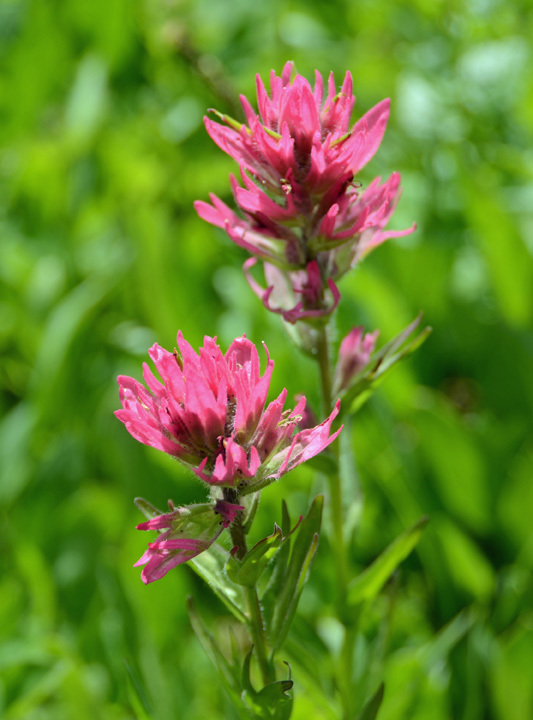 This time we saw a ton of wildflowers, including magenta paintbrush. 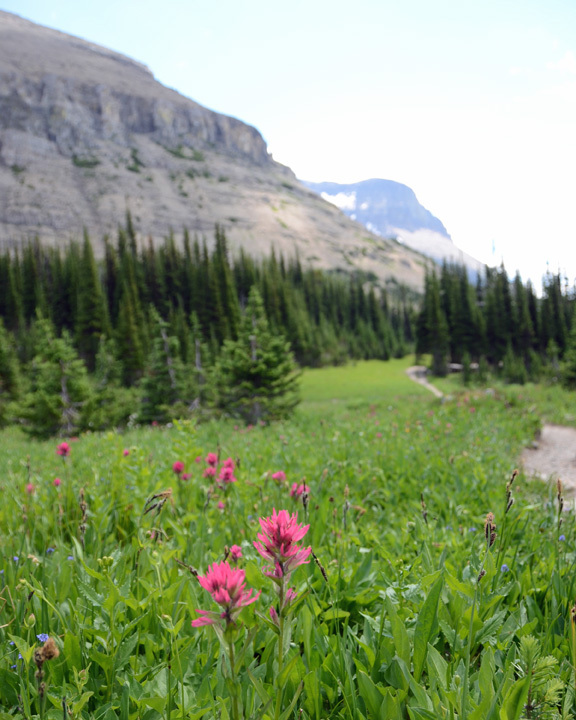 I’ve seen scarlet paintbrush, but never magenta, so it was a real treat to see this variety. 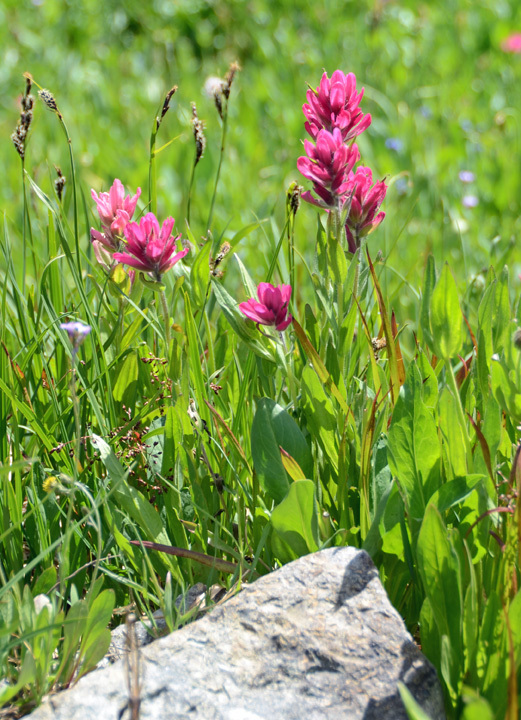 I love learning about wildflowers, and if I have a chance someday to go back to school, I’d like to get a degree in plant biology, with a focus on Rocky Mountain wildflowers. The above photo doesn’t do justice to the carpet of wildflowers and Going-to-the-Sun mountain behind, but boy, it sure was a beautiful. 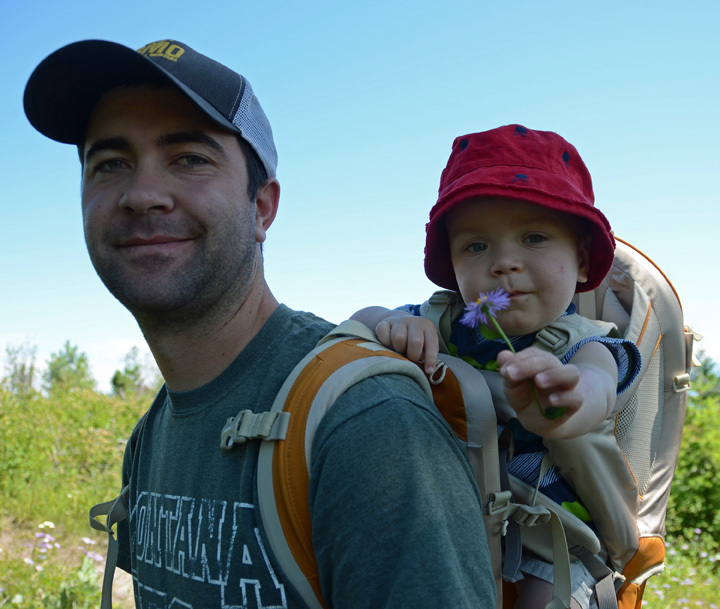 Gotta start ’em young, working on instilling that love of hiking. 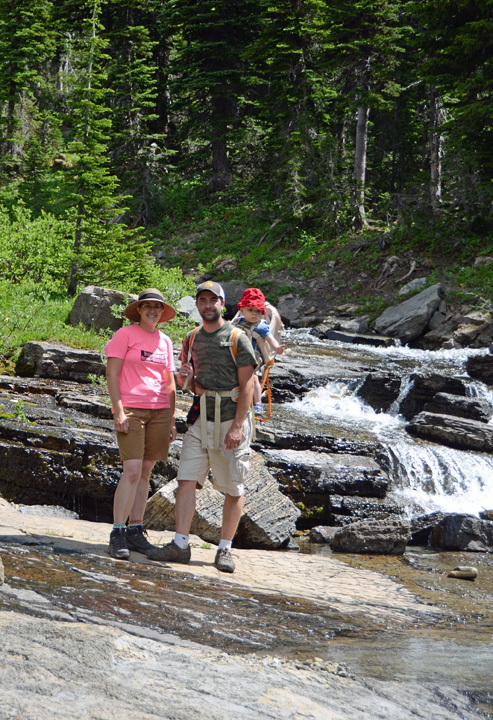 Although Peanut looks less than enthusiastic in this photo (he was distracted by the creek), he loves hiking already. He takes it all in, looking all over at the trees and mountains and flowers. Already he’s content to be in the backpack for two to three hours at a stretch. Though he enjoys little breaks so he can explore since he’s walking now. He’s walking all over the place and we hope that he always will love walking all over the place. Especially up mountains. How blessed we are to live in a place like this, where this view can be an every day event. We hiked an overlook trail on Sunday. Usually overlook trails mean steep and up. But this particular trail, while still up, was one of the more gentle overlook trails I’ve done. As always though, overlook trails mean nice views! Plus my baby boy gave me a flower, a sticky aster (one of my favorites), and my lovely love tucked another sweetly into the brim of my hat. Sometimes my heart is full to bursting. 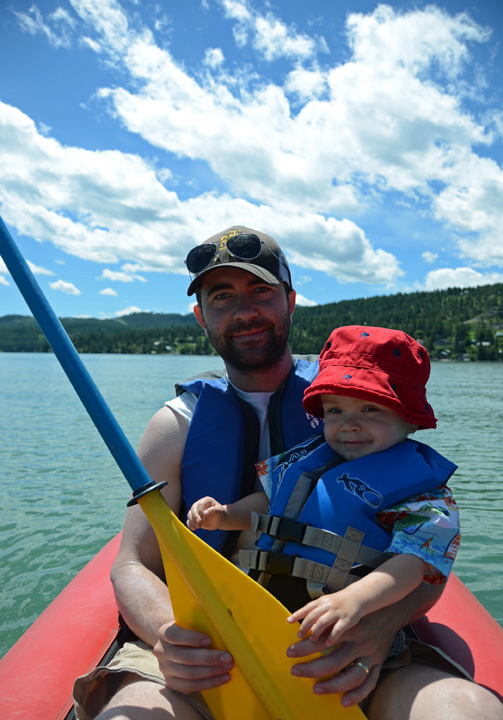 Last week the three of us went down to beautiful Flathead Lake for a little boat ride in a two-person inflatable boat we borrowed from a friend. We paddled around an island in Somers Bay and went back to shore because the Peanut was not diggin’ the boat ride, but can we blame him? He’d never been in a boat on water before and the only way to get over new or scary things is to do them again! This is the only photo of a happy Peanut… things quickly descended from there. But we still had fun, even though the boat ride was brief. It was a beautiful day and we haven’t done something like that in a while. 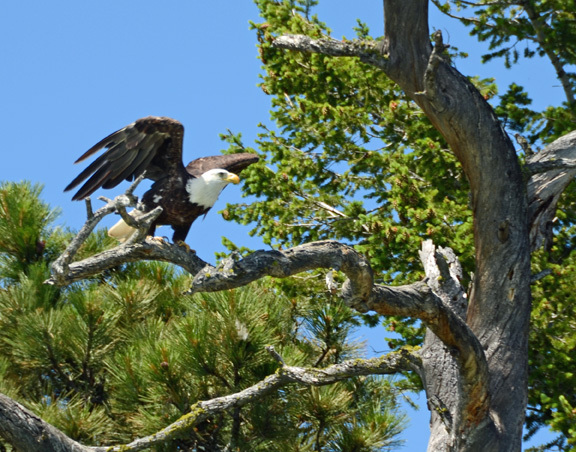 While we were rowing back to shore, we noticed a bald eagle in a tree above us and I snapped a bunch of photos. Here are the best two. 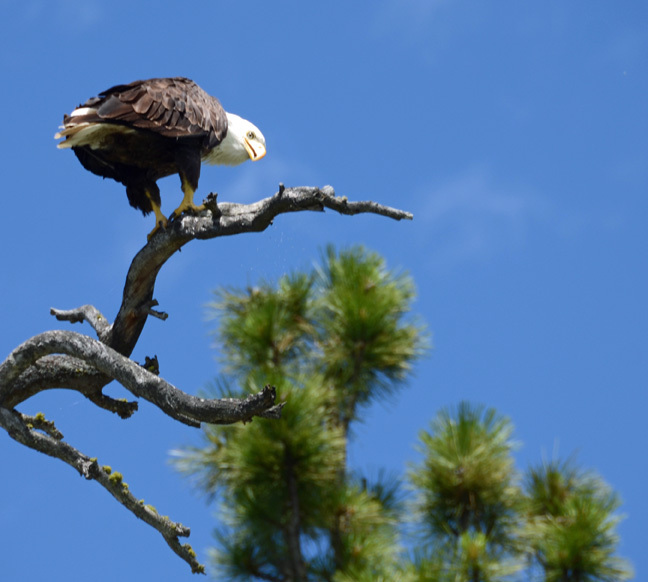 Pretty cool to live in a place where seeing a bald eagle is commonplace! 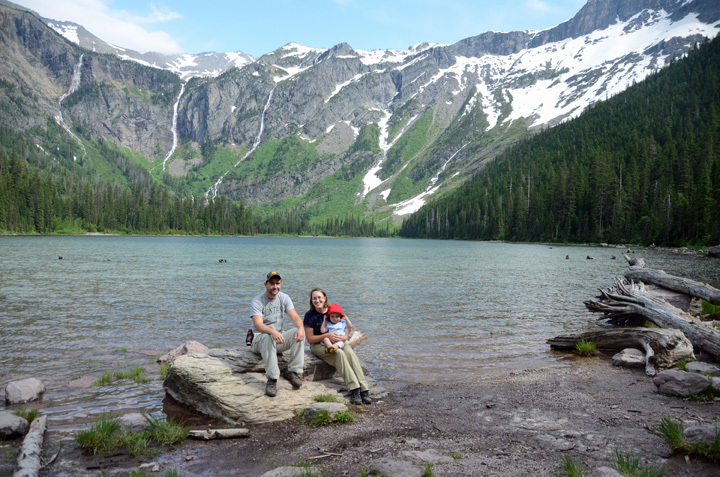 This afternoon we went on a quick hike to Avalanche Lake in Glacier National Park. 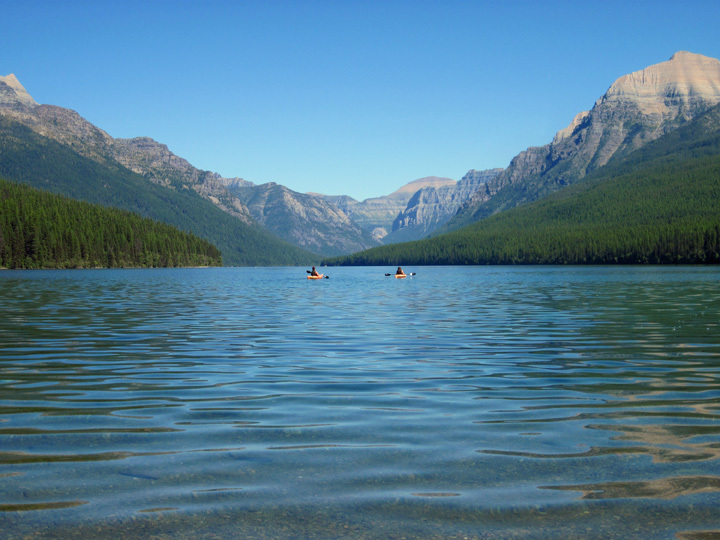 It’s one of the easiest (and thus most heavily traveled) hikes in the park, but the lake payoff at the end is worth the hike. 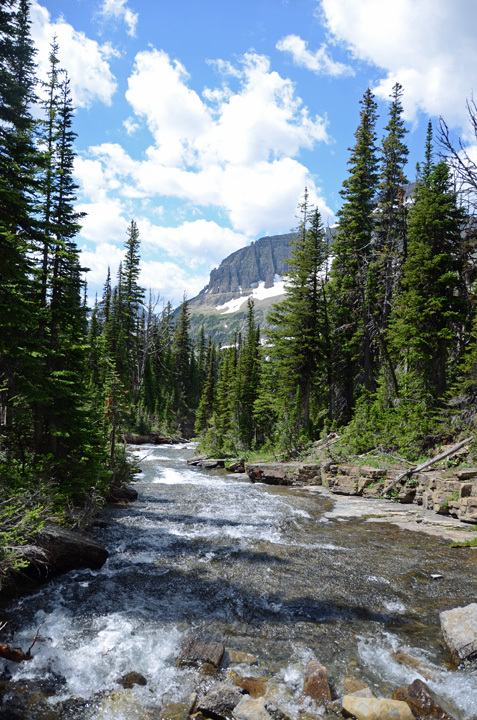 It also winds alongside Avalanche Creek nearly the entire way, so the sound of the rushing water in the dim of the mossy forest is a treat no matter how many times you hike it (and I think I’m closing in on a dozen times). It’s a good thing it’s a gentle hike too, because both Big Country and I were pretty tired at the end… but considering we’re both getting over one heck of a nasty virus, I think we get a bye for being wussies on this hike. Felt good to “sweat the sick out” as we called it, though. Big Country packed Peanut in, and I packed him out. 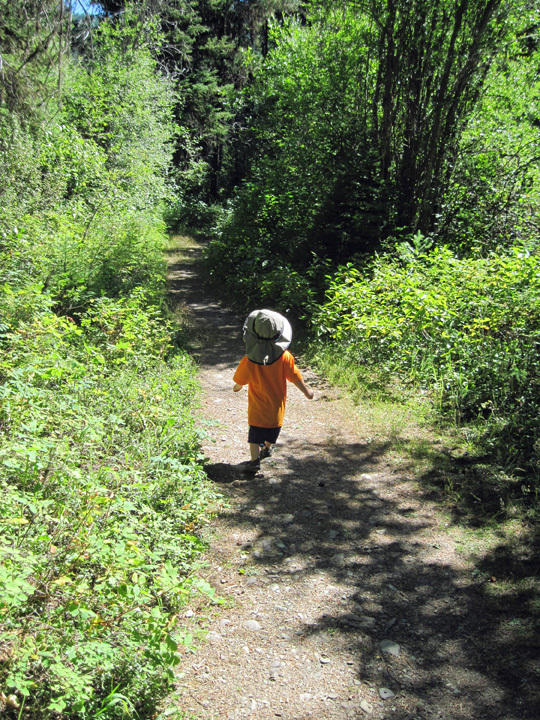 And to tell the truth, carrying 35 pounds of child/backpack on your back makes an easy hike a solid workout. There are waterfalls running down the bowl into the lake in at least three different places, and even across the length of the lake the din of the tumbling water is a constant presence. While we were hiking it was cloudy and humid, but the clouds cleared a bit while we were at the lake. There were two chipmunks there that have been completely habituated to people because moronic tourists feed them, so they were climbing all over the rocks we were sitting on, and even climbed on us a bit. Ran over our shoes a few times and once one chipmunk was so bold as to climb up on my leg. Cute, but creepy too; I’d prefer not to get rabies, thanks. Peanut thought it was the funniest thing, of course. When I was very little I called chipmunks “dirt mice” and perhaps we will continue that tradition with Peanut. 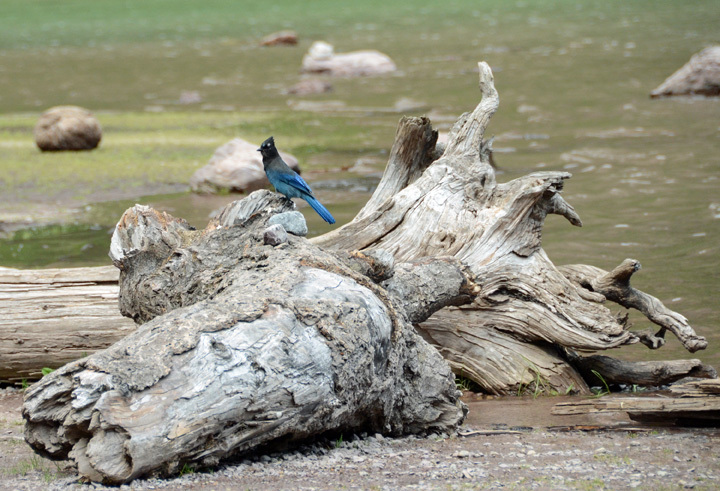 There was a beautiful Steller’s Jay flying around the lakeshore while we were there, too, and Big Country got a nice photo of it perched on a beached log. We typically only hike to Avalanche Lake once a year, or not even that often, because it’s overrun with people, being one of the most popular hikes in the park, and today we saw a whole lot of people. But we enjoyed the hike anyway, and started keeping a tally of the number of people who commented on Peanut’s backpack being the way to hike, as opposed to using one’s legs. On the drive to the lake and back, of course, there were thousands of beargrass (Xerophyllum tenax) blooms in their ghostly glory to be seen through the pine trees. 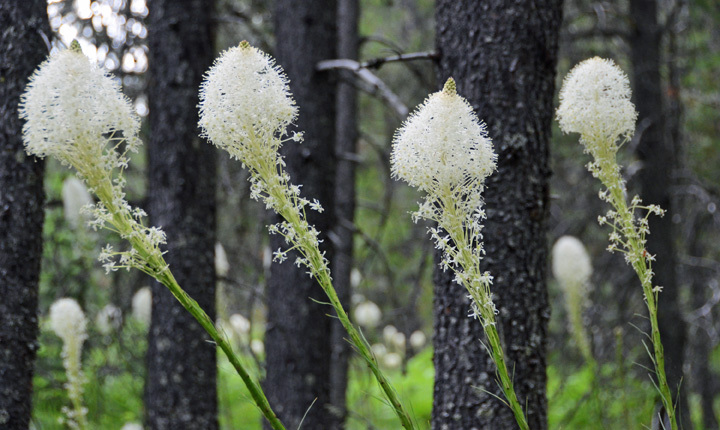 Beargrass bloom in 5- to 7-year cycles, and in clusters. This year is already a great beargrass year; I saw more beargrass today than I have since I first moved to Montana in 2009 (which was also a great beargrass year). And in doing a little beargrass research, I discovered that beargrass is in important part of the fire ecology in alpine regions; the rhizome roots of beargrass aren’t killed by the fire, which allows the plant to bloom again after fire sweeps the area, clearing dead foliage. 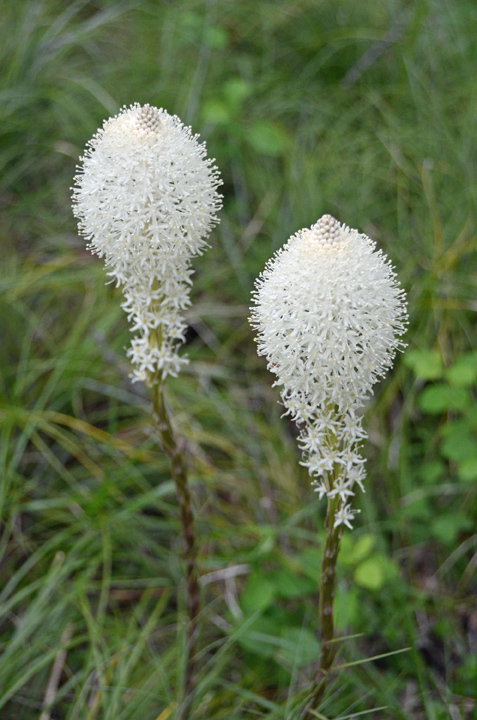 Beargrass is a lovely plant (don’t pick the blooms! the plant won’t ever bloom again if you do! ), and I love seeing the milky flowers contrasting against the dark trunks of the trees. As I write this I’m sitting at the desk we set up in our bedroom recently. My mom brought me all of my childhood furniture (which was her childhood furniture), and since it is much better quality than what Big Country and I had, we’ve switched out all of our clothes and we’re using the dresser (yes, we’re sharing a dresser… is that weird?) instead of the two smaller dressers we had before. We went through our clothes again last week and yet again we’ve got four trash bags full of clothes to donate. We’re really on a live simply and with less stuff kick. We’ve gone through our bedroom and the guest bedroom closet (which was full to bursting with stuff), and I am greatly enjoying being this pared down in those spaces. We would have gotten further with the paring down except we’ve all three been absolutely slain by a stomach virus this past week. Peanut picked it up at daycare (his first time throwing up ever, which apparently is a very traumatizing experience, poor kid), I followed suit, and now poor husband has it. I haven’t felt that sick in years and I’m glad it’s over. I was completely useless yesterday, sleeping for most of it and barely moving from the bed/couch. We’ve all been so sick we didn’t even open the brewery today because it just wasn’t worth it. But enough about being horribly ill.
It’s a little strange being surrounded by my childhood furniture again, like going back in time in a way, but comforting too. I’m planning to sand it down and re-stain it at some point in the future because I don’t like the color of the stain and never really have, and I’ll update the pulls. They’re very old-fashioned and show their age. But I’ll probably hang on to them because who knows, they might come back in vogue before we know it. I’ll take pictures of the furniture soon and post the “before” photos. I am going to stain the furniture, not paint it, because I think some furniture just shouldn’t be painted, and because this furniture will in a few years become Peanut’s, once he’s big enough to need a dresser, desk, and twin bed. I suppose Big Country and I will need to get an actual nice dresser for ourselves at that point. It’s nice to have the desk because it’s going to be my special writing space. If I’m going to be a writer, I need to actually write every now and then, wouldn’t you say? The only way those novels in progress are going to get finished is if I set aside time nearly every day to just write! How did Ernest Hemingway put it? Writing isn’t very hard, one just has to sit down at the typewriter and bleed… or something like that. Not a bad view at all! It’s especially beautiful with the sunset light like in this photo. The past week we’ve been having a cotton snow storm every day, with little cotton snowdrifts gathering on the edges of the lawn, caused by the large old cottonwoods surrounding our house. It’s actually been a comfort, staring out the window at the trees and watching the cotton drift lazily by, as I’ve drifted in and out of sickness stupor. 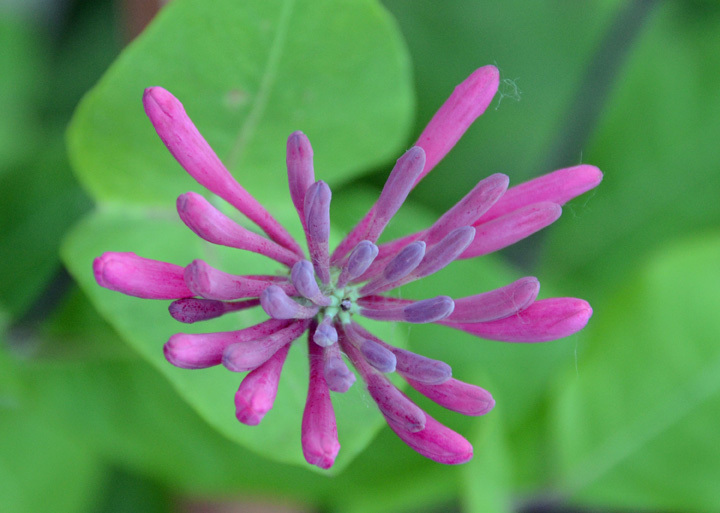 I’ll leave you with a picture of a honeysuckle bloom that’s coming along quite nicely in the front yard. Look for a couple more posts this week about garden progress and hops!